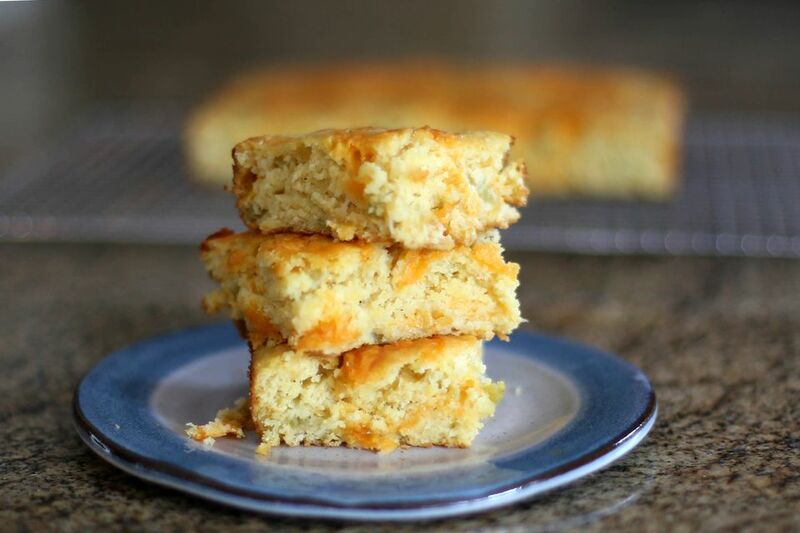 Mexican cornbread is always a favorite, and it is wonderful with a hearty chili or beans. This version is a moist cornbread made with shredded Cheddar cheese and mild green chile peppers, but feel free to add some jalapeno peppers if you want some heat. Preheat the oven to 425 F (220 C/Gas 7). Grease a 9-inch square baking pan. In a large mixing bowl combine the cornmeal, melted shortening, sugar, salt, baking powder, and baking soda. In another bowl whisk the eggs with the buttermilk. Add the egg mixture to the dry ingredients and mix just until blended. Add the cream-style corn and mild chile peppers, along with minced jalapeno peppers, if using; stir to blend. Pour half of mixture into the prepared baking pan. Sprinkle half of the shredded cheese over the batter. Spoon remaining batter over the cheese layer and then top with the remaining cheese. Bake for 20 to 25 minutes, until set and lightly browned around the edges. For a crustier cornbread, use a cast iron skillet, greased with shortening. Heat the skillet in the oven and then add the cornbread batter to the hot skillet. Use a blend of cheddar and Monterey Jack cheeses, or a Mexican blend, with or without hot peppers. Add 4 strips of cooked and crumbled bacon to the batter, or add it to the first layer of shredded cheese. Add about 1/2 cup of cooked and crumbled fresh chorizo sausage or mild sweet Italian sausage along with the first layer of shredded cheese. For extra color and texture, add about 1/2 to 1 cup of cooked and drained corn kernels. With this cookbook, you’re never more than a few steps away from a down home dinner. Get it free when you sign up for our newsletter.